‘Staying safe at the Christmas party’. 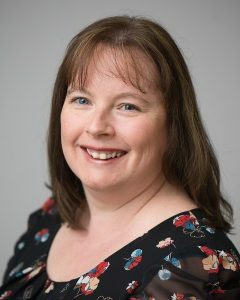 Charlotte Allfrey founded Metro HR because she really enjoys sharing her knowledge and expertise with clients across all sectors, helping them to build motivated and successful businesses. You can’t have failed to catch on to the fact that sordid goings on on the casting couches of Hollywood, and down the dark corridors of Westminster, have placed sexual harassment firmly on the HR agenda. Most decent human beings are pretty familiar with what is and isn’t acceptable at the far end of the spectrum of sexual harassment. In more everyday situations it’s not always easy to know where other people’s boundaries lie, and what might be friendly banter to one person, could be deeply unacceptable to another. When alcohol and Christmas joie de vivre are uncorked at Christmas parties and other celebrations, inhibitions and self-awareness can be thrown out the window and the risk of incidents of sexual harassment, or plain old festive fisticuffs are much higher. To help employees keep to the right side of this line, ACAS have responded by issuing some helpful new Advice and Guidance on what Sexual Harassment in the workplace is, where the official boundaries are, and how to report or manage it. You can find it here. This certainly is not the jolliest of topics at this time of year but at Metro HR we think it’s important to raise tricky issues with employees in a preventative way, before issues set in. So with that in mind, we have created a checklist for staying safe at the Christmas party, please share it far and wide…. If you are the poor soul in charge of organising the Christmas party, don’t be afraid to remind employees that the staff handbook and policies around behaviour and conduct will remain in place at the Christmas bash, and to keep their ‘banter’ in check. It’s tempting to go wild in the aisles when the company are paying, but it’s a good idea to drink responsibly and retain your judgement – at least squeeze a soft drink in between each of the alcoholic ones. If food isn’t provided, eat before you get to the party. Drinking on an empty stomach can have a fast effect. Stay with other people, don’t put yourself in the position of being worse for wear and alone, and therefore vulnerable. Make sure you know how you are getting home, book your transport in advance, don’t allow yourself to get stranded. Organising transport at 2am with drunk colleagues is a tough job. Save an ‘ICE’ (In Case of Emergency) contact in your phone – this is a well-recognised term used by the emergency services, just in case. Keep some money somewhere other than your bag or wallet, in case they get pinched, or you lose them. Be mindful and look out for work colleagues. If you think they might have got themselves into an awkward situation, or that they may be subject to some unwelcome attention, step in to divert the conversation or attention. Try not to overstep boundaries with a Secret Santa gift, if you are wondering whether it is appropriate or not, then it probably isn’t, be sure the humour will be well received. Don’t let loose on social media about your boss, your work colleagues, customers or the company, especially after a few drinks. Even if you are not using a work device it could still be a disciplinary issue. Comments that are abusive, offensive or discriminatory will be treated as a serious matter. Be mindful that even though you are off-site and away from the work place, you are still representing the company. Any inappropriate behaviour or actions that could damage the reputation of your company or cause upset or concern to a work colleague could make you liable to disciplinary or complaints processes at work. The camera never lies, we all have devices that take selfies and photos, and CCTV is everywhere, pictures can be online in seconds, don’t get caught out in an embarrassing situation. Tell the person their behaviour or conduct is unwelcome. Remove yourself from immediate risk – find colleagues, or call someone over to help. Remember we often spend more time with our work colleagues than we do with our spouse or partner. Don’t be the person that everyone is talking about in the office come Monday morning, for the wrong reasons. If all else fails and you end up with an HR issue on your hands after the Christmas party, think of us as your guardian angels. We can help deal with the issue and get you back to running your business in no time. Why not try us out by signing up for a free no-obligation taster session of our Sounding Board Service? The taster session is carried out by phone, it’s a 30-minute mini-audit of your current HR strategy or our instant advice on an HR issue that you need help with. Find out more here.